Mostakbal City is the new hottest attraction that will captivate the hearts, stir the souls and inspire the minds of all the nature and peace lovers. The city’s quiet yet beautiful location provides a soothing environment as it lies between New Cairo City, Badr, New Heliopolis, El Shorouk, and Madinaty. Mostakbal City is a pioneer in the sustainable housing development field. It is believed to be the first green city to be established in the area, as a huge part of the city is dedicated to the lush greenery that forms a masterpiece with splashes of vibrant colors. This is all to help the residents find their balance points and inner-peace in a relaxing surrounding. Haptown: It is the latest mind blowing project by Hassan Allam Properties in the heart of Mostakbal City. The compound is found in close proximity to Cairo-Suez highway, Road 90 and Cairo-Sokhna highway. 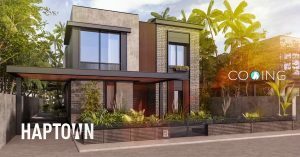 Haptown is the most complete city as it provides anything a resident could think of whether it’s a home, an office space or an investment opportunity. 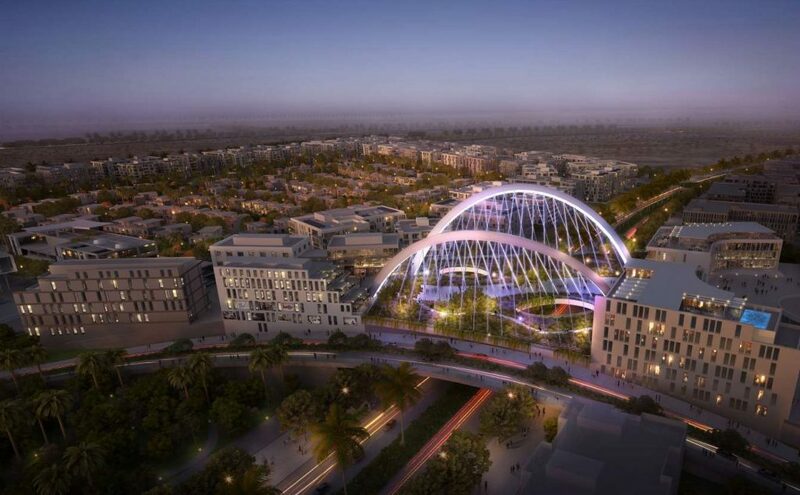 It also features bicycle and pedestrian paths, leisure and retail areas and open spaces, thus, making every single wish and desire come to life. Haptown cares about the comfort and luxury of its residents so it offers heartwarming cozy homes that vary from studios to apartments, duplexes, penthouses, twin houses, townhouses and villas. Aria: It is the new mega green compound by Landmark Sabbour Development that is located in Mostakbal City. The project embraces the European lifestyle where it’s not just a place to live, but a place to breathe and enjoy life. 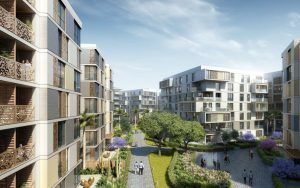 Aria is a thoroughly planned compound that serves the residents’ needs with all the open spaces, green areas, contemporary designs and advanced facilities. 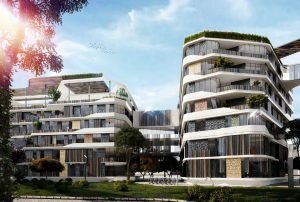 Aria offers apartments that are designed to complement their natural surroundings to provide the residents with sceneries that will please their eyes and hearts. The apartments are executed to perfection in order to ensure a better living quality that is full of luxury and comfort. Aria thought the enjoyment of its residents through. That’s why it offers them a pleasing experience in its retail center, club house and kids’ park. They can also enjoy the open areas and parks as they go for a picnic, a romantic walk, a bike ride, have a barbecue and exercise. Not to forget the sparkly fountains and pools that will calm their minds and souls. Bloomfields: It is the brand new luxurious residential compound by Tatweer Misr. It’s located in Mostakbal City just 15 minutes away from AUC and 10 minutes away from the New Capital City. Bloomfields offers a wide variety of homes that maintain privacy and ensure spaciousness including: ground villas with lush gardens, sky villas with floating pools, twin houses with roof terraces, gracefully appointed roof townhouses, VIP apartments and flying residences. Bloomfields is an integrated project that features various services and facilities to meet the residents’ everyday needs such as: swimming pools, kids’ areas, tennis courts, gyms and an international educational zone. The City Of Odyssia: It is Al Ahly for Real Estate Development’s latest sustainable project in the captivating Mostakbal City. 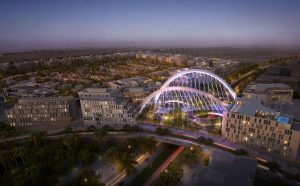 The project has a prime location as it’s just a few minutes away from both AUC and New Capital City. Odyssia offers an environment that allows its residents to enjoy the perks of life, captures their imagination and broadens their horizons. 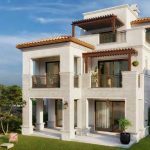 The City Of Odyssia introduces remarkably designed apartments, twin houses, townhouses and villas that overlook the stunning greenery. Odyssia promises an ideal experience through all the amenities and facilities it features from the business district to the educational facilities, retail area, sports facilities, amphitheater and the multipurpose hall.